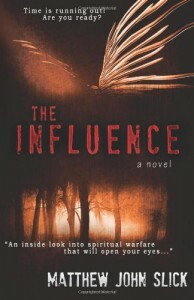 The Influence is a fascinating supernatural thriller in which the characters face angels, demons, and questions about God, life, death, and the afterfile. Mark who is the main character is still depressed long after the death of his child. He can't come to accept why it was allowed to happen. After almost committing suicide, he is taken on a journey to face the true nature of reality and get answers to his questions. He is the one who is allowed to see angels and demons and begins talking to angels. The curious thing is he is not religious and yet deemed to be important to the spiritual realm. 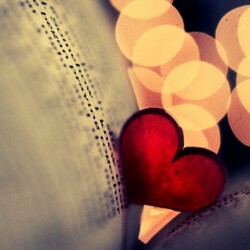 Why he is special is a puzzle both to him and the angels that are sent to guard him. There is a lot of theological discussion throughout the book, especially in the beginning. I thought that was very good, interesting, inspiring. Because it takes the form of conversation, it did not feel too preachy. I thought a lot of it was very true and spot on not only in terms of religion but life and people, people lying to themselves, believing in what they want and what feels good instead of thinking what is true or of truth as being objective and independent of their feelings. I highlighted many of those parts. In terms of the story, it was also very interesting, often gripping, at times a bit slow. There are many interesting descriptions of angels and demons and how they interact with people and influence them, especially the demons. I don't know that much about what religion says about demons, but I was intrigued and astonished. I thought there were a few strange things about the characters, especially Mark. I think it said in the book that he spent some time studying different religions in search for answers after the death of his child. Still, he seemed very dense at times and completely ignorant about what religion/Christianity has to say about life. Did he study all religions except Christianity? Here he is having profound spiritual experiences and he never thinks to open a Bible and read it a bit and see what it says and why he might be important. Still, in spite of all this, I thought it was a great and thought-provoking book and definitely very unique.